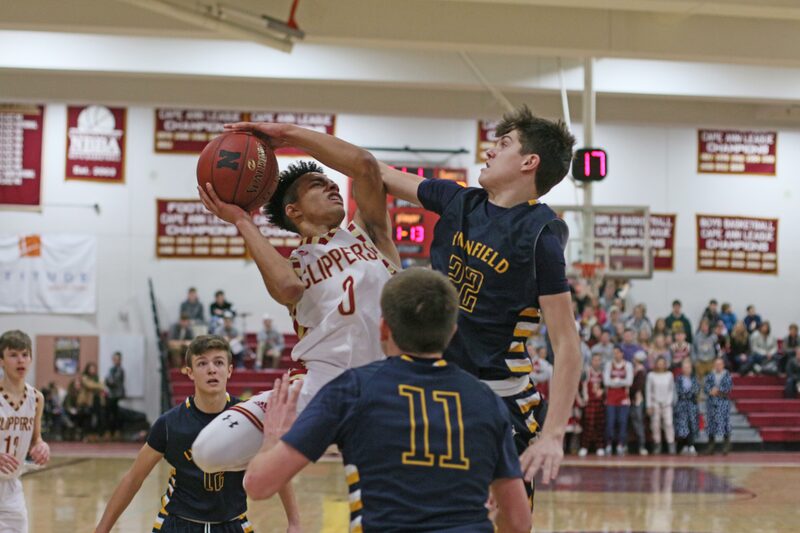 (Newburyport MA) Casey McLaren didn’t even see the play. The tying run on third. One out in the final inning. 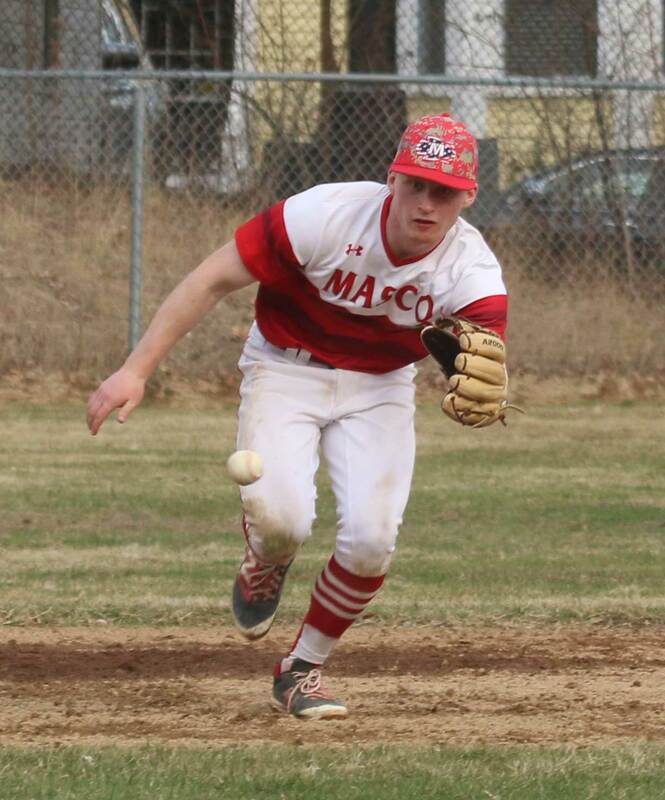 Masco’s Matt Aldrich flaired a blooper to right with trouble written all over it. 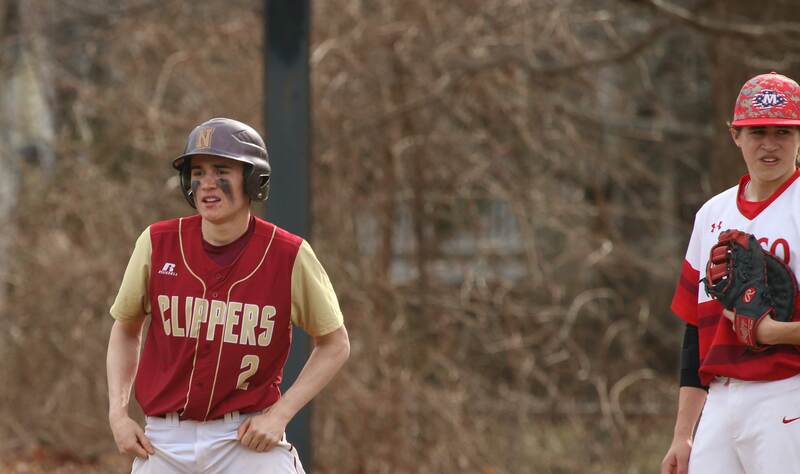 Newburyport second baseman Tyler Koglin caused the cheers by racing back into right and making a remarkable over-the-shoulder catch to keep Andrew Gotts from scoring from third. 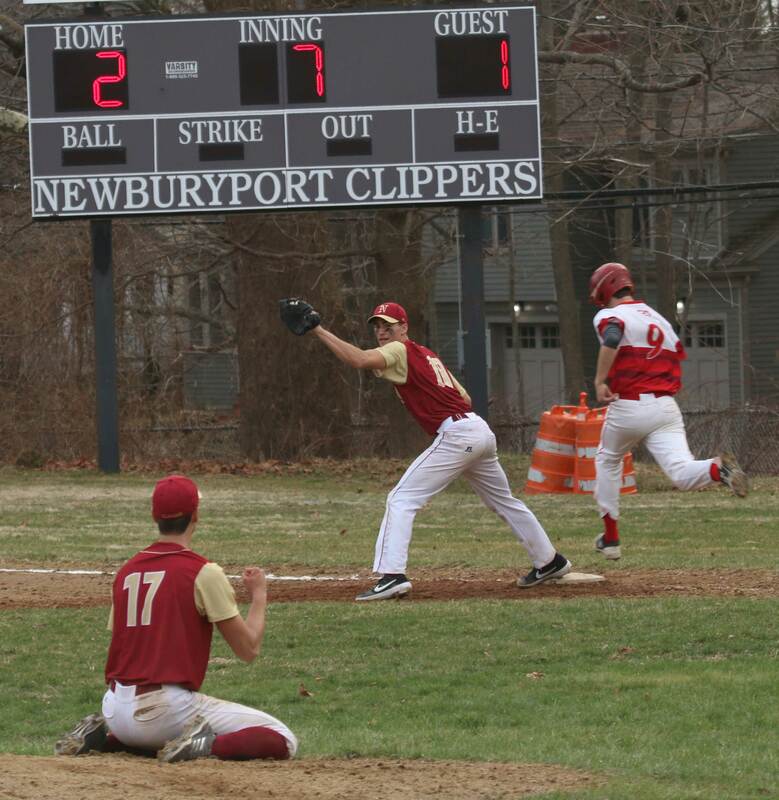 Tyler then handled the final grounder and the home team (Newburyport) had a 2-1 win over Masconomet on a summer-like Saturday afternoon in Cape Ann League action. And then there was the pitching! 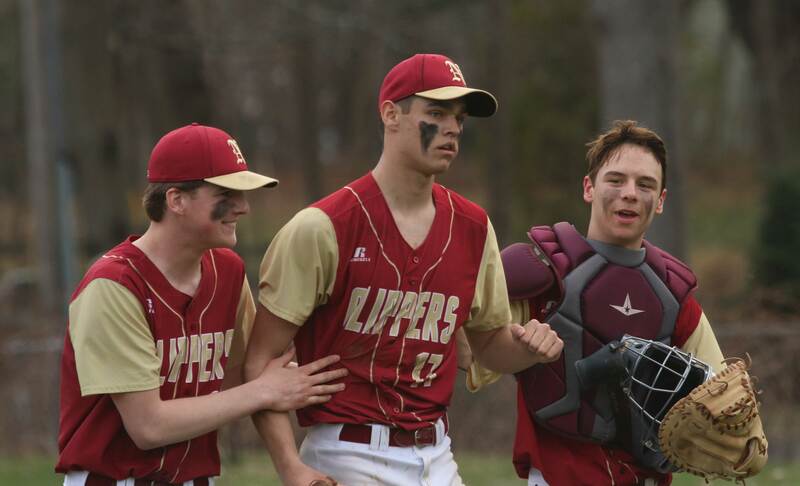 Senior Casey McLaren had a no-hitter going into the seventh and finished with a one-hitter. 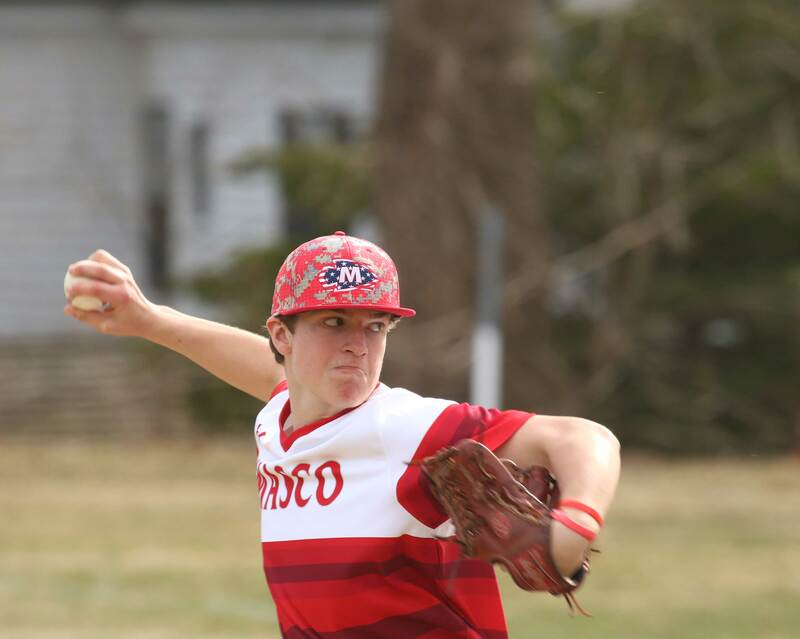 Easy to overlook was Masco’s pitching but it was also solid. 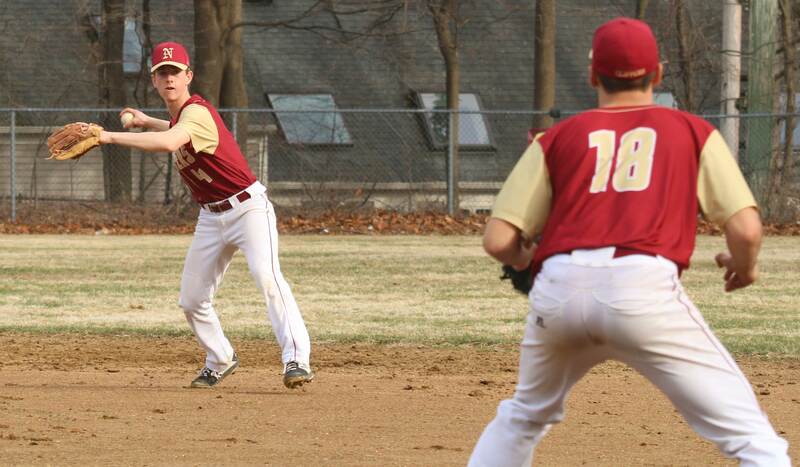 Freshman Erik Sibbach yielded only four singles in 3 innings while sophomore Aaron Zenus followed and held Newburyport hitless during his three innings of work. “It was your classic pitcher’s duel,” said Coach Baril. 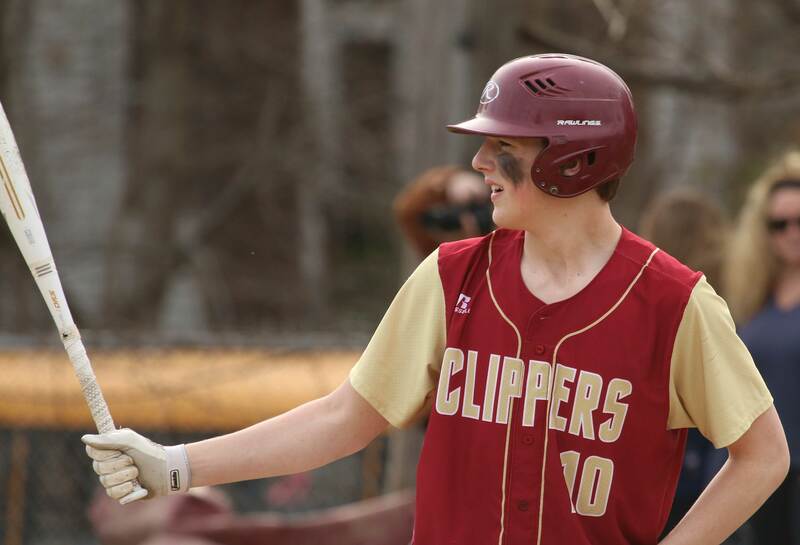 The Clippers (2-1) put three of their four hits together in the second inning and produced two runs out of it. Parker McLaren singled to short center and went to second on a passed ball with no outs. Tommy Murphy followed with an infield hit moving Parker to third and then took second on an infield out. A wild pitch brought Parker home and advanced Tommy to third. Ryan Archer’s bloop single to center scored Tommy with the eventual game winner. Casey McLaren was overpowering. 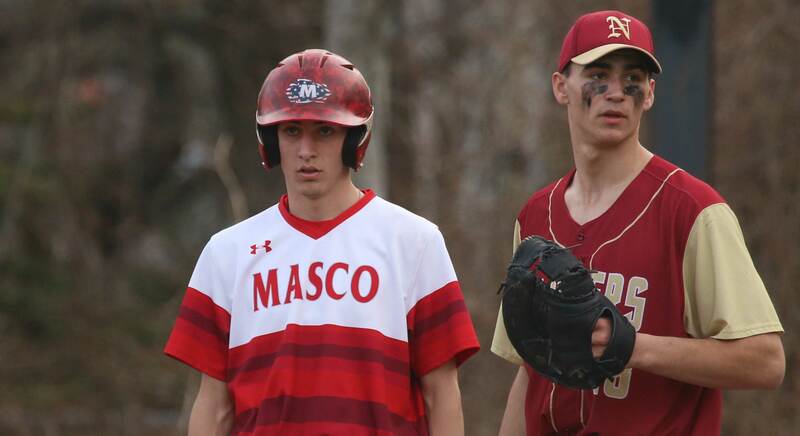 He retired the first eleven Masco batters before walking Pat Costigan in the 4th. 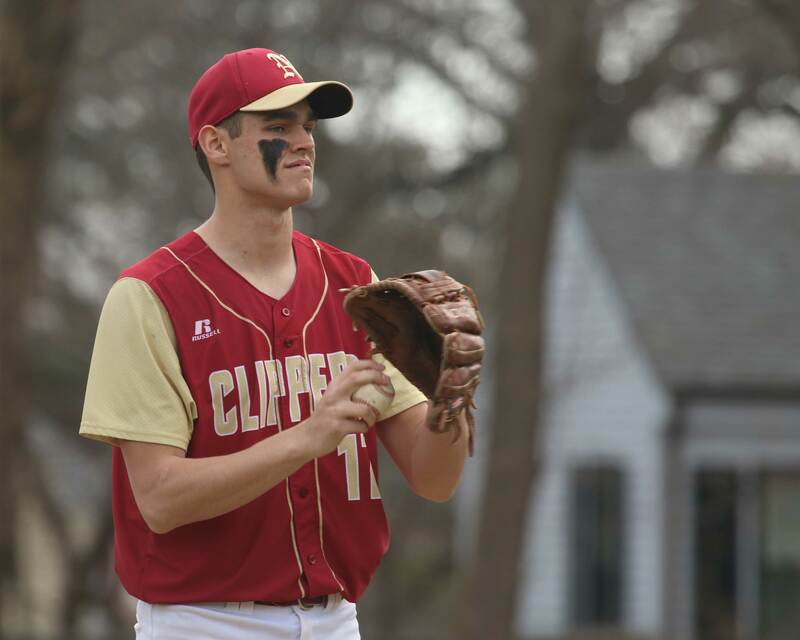 The Tufts commit had eight strikeouts. 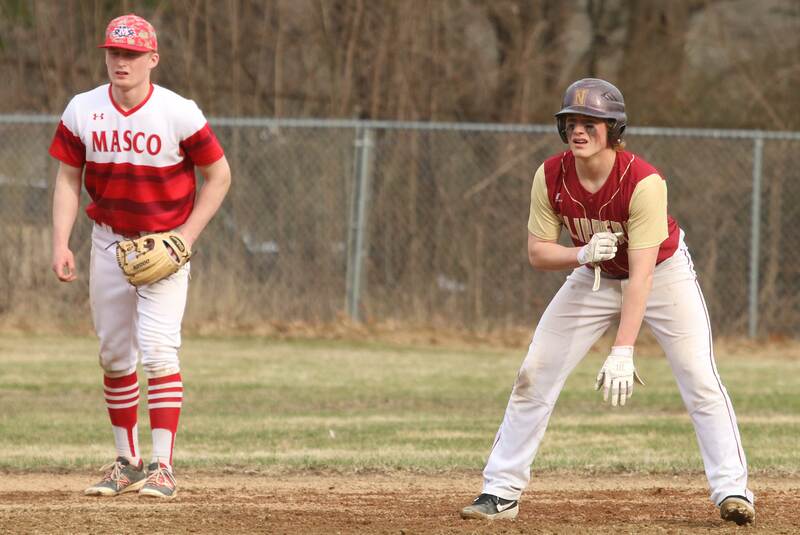 An error (Tyler Koglin) gave Masco a baserunner with two out in the 5th but Casey ended the inning striking out Ethan Cote. The seventh inning was the big test for the Clippers. Casey walked leadoff batter Pat Costigan on four pitches. 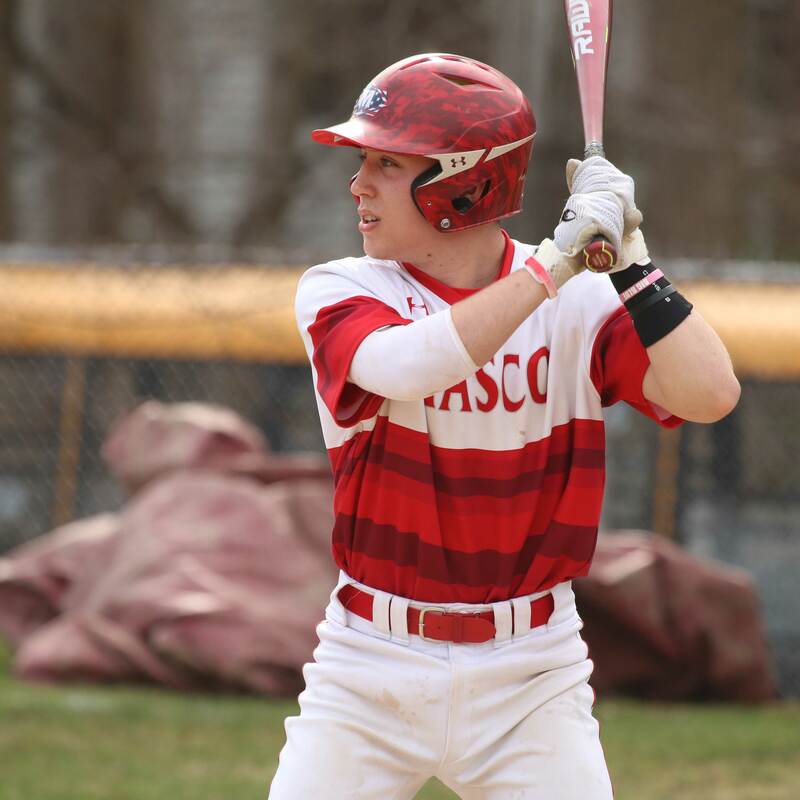 Andrew Gotts then lined Masco’s first hit to center. Last year the Chieftains slugged twenty-two homers. Almost all of those HR’s graduated. 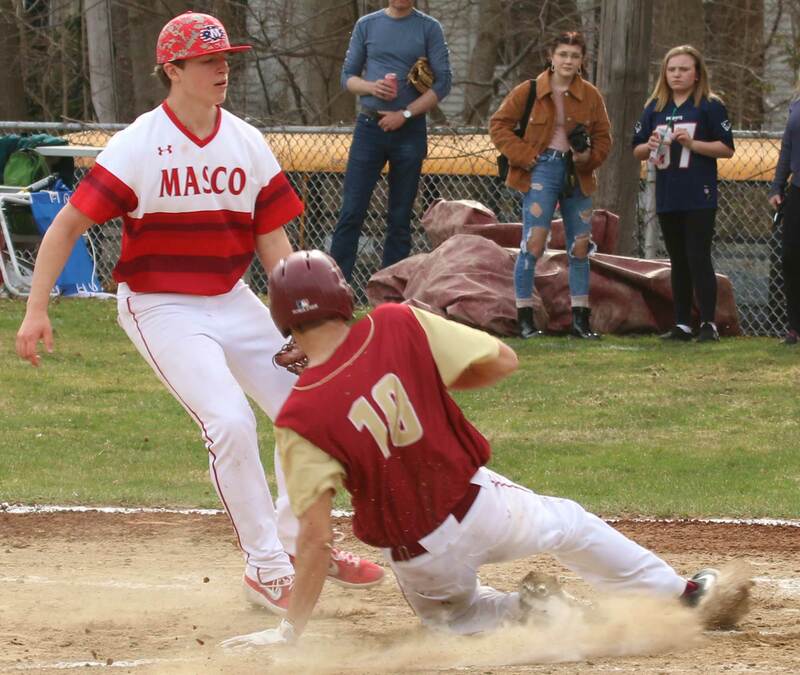 Therefore, this year Masco is developing other ways to score runs. One of those ways is to be aggressive on the bases. 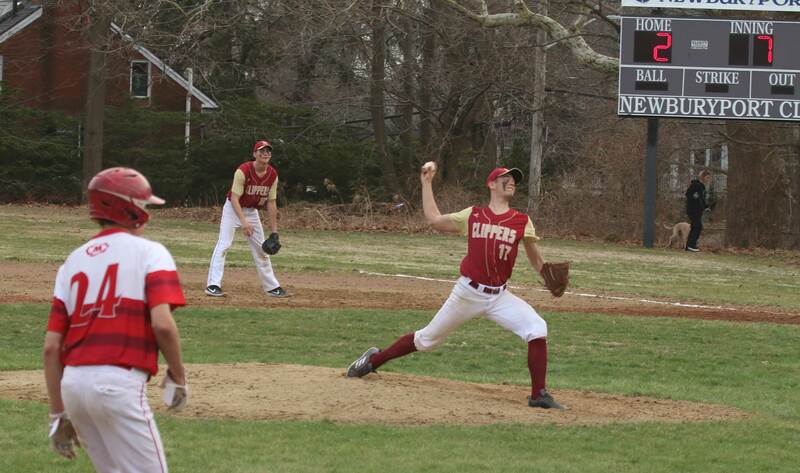 In their opening win (6-2) over Lynn Classical the Chieftains had five steals. 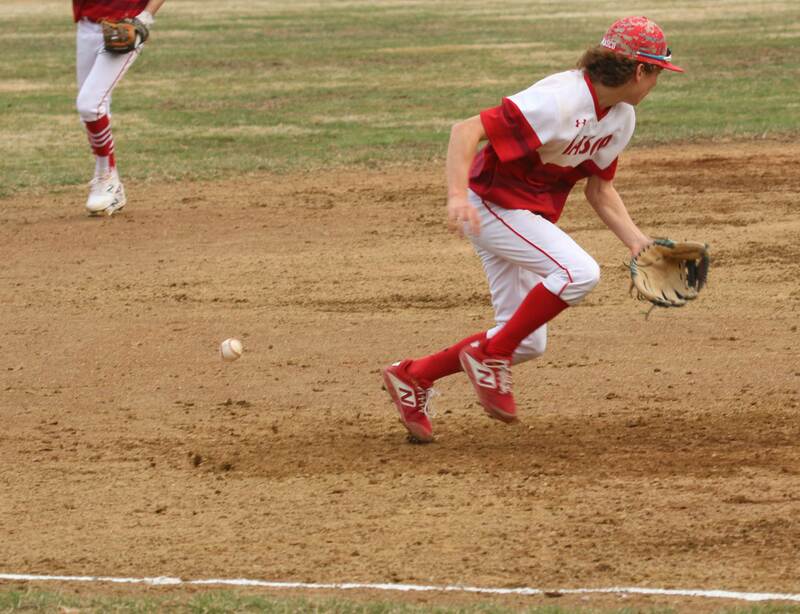 Today in the 7th with two on and no outs, the Chieftains successfully executed a double steal. 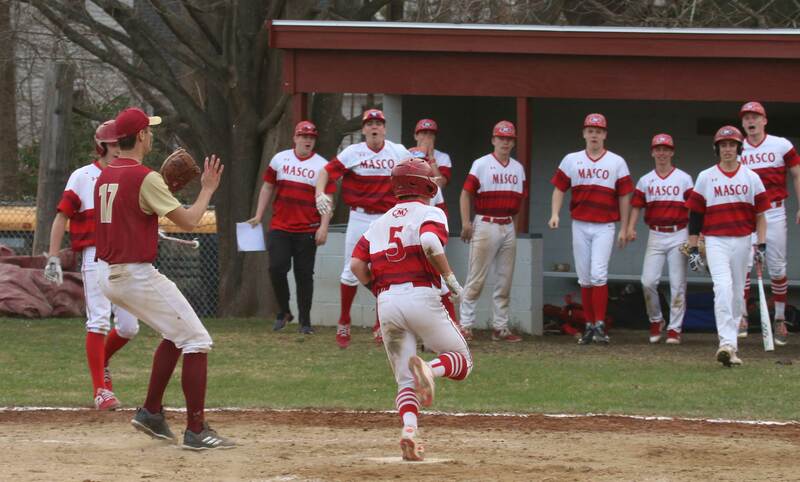 Next thing you knew, a wild pitch led to Masco’s first run and moved the other runner to third with no outs. Suddenly the outcome wasn’t so certain. 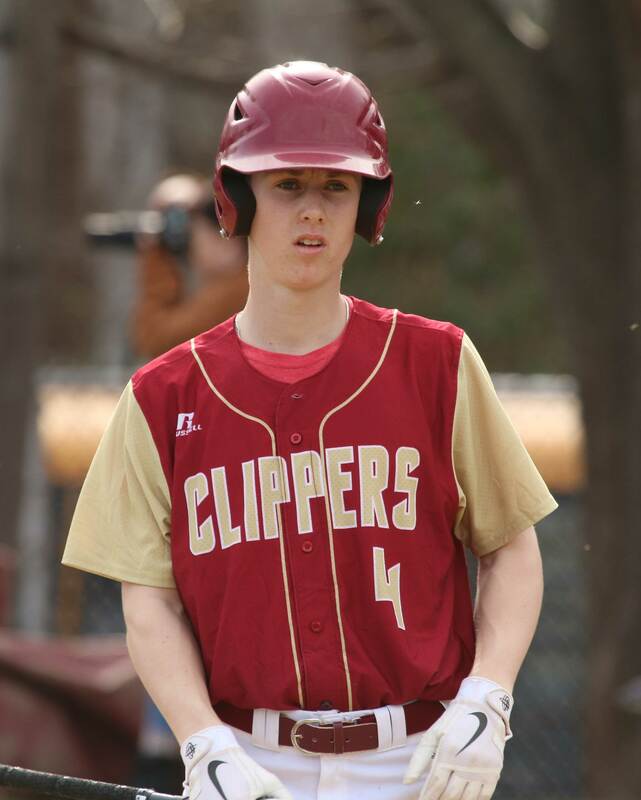 But then Casey surrounded Tyler’s terrific catch with two infield grounders and the Clippers had their second win of the young season. The weather was very pleasant and brought out a good crowd. 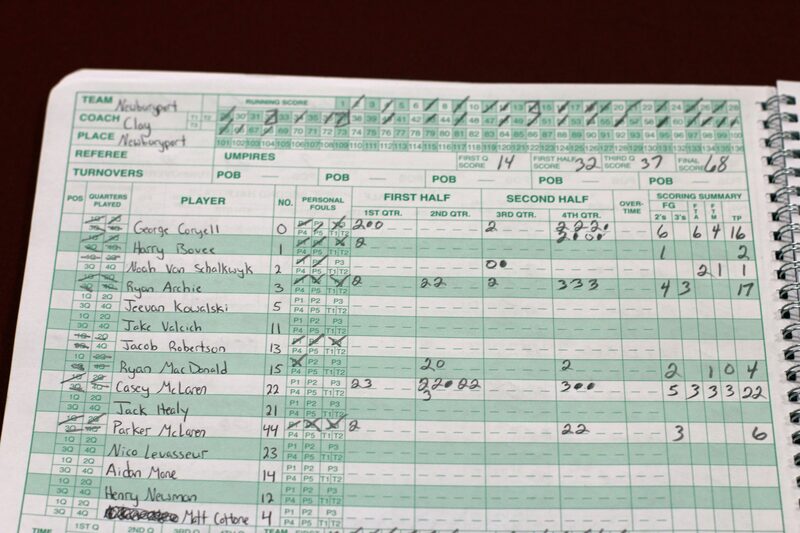 (Newburyport MA) This game was close into the final quarter, and I thought it would go down to the wire. 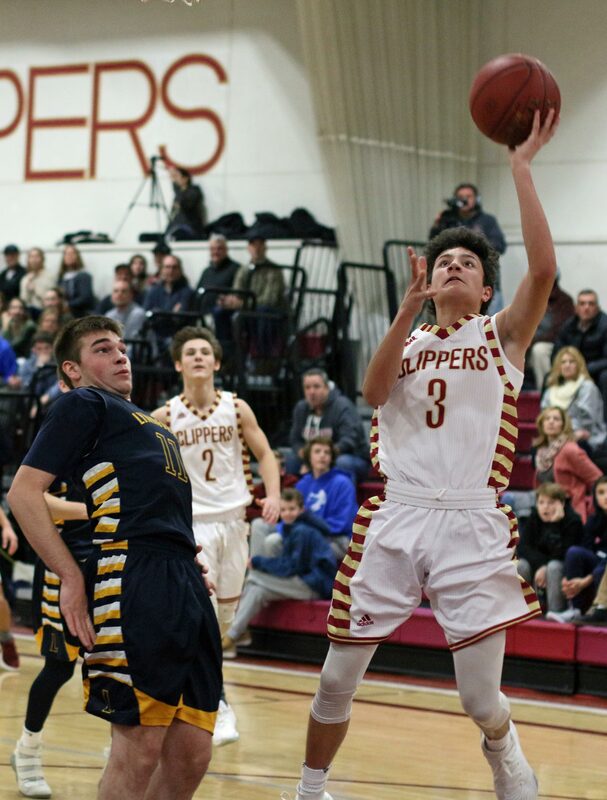 Newburyport didn’t let that last-shot thing happen, however, as they exploded in the fourth quarter with thirty-one points and defeated Lynnfield, 68-55 on Friday night in Cape Ann League action. 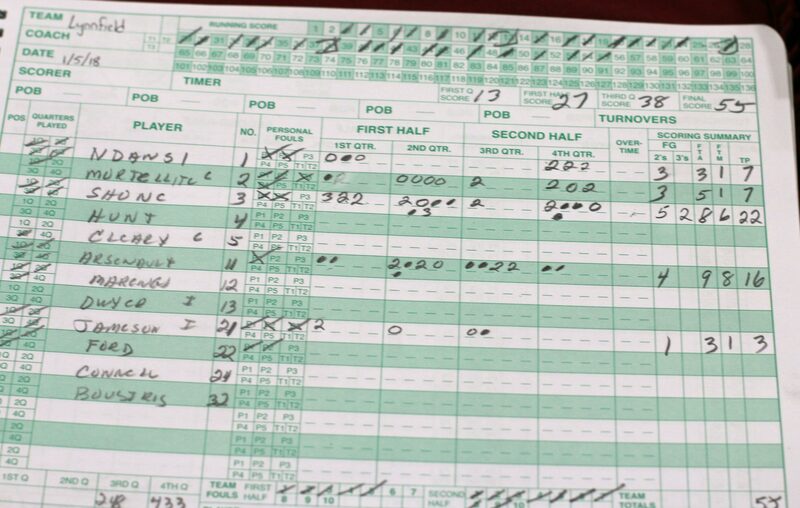 This game was tied seven times with the final tie (45-45) with 5 ½ minutes left. After that the combination of Ryan Archer long range and George Coryell drives did in the Pioneers. 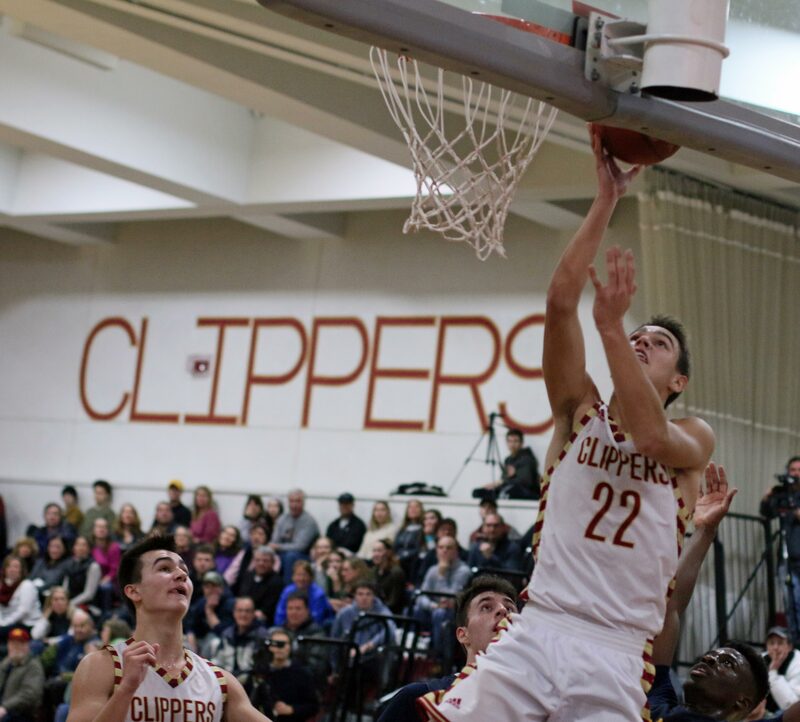 Ryan’s two 3-pointers and George’s four layups were the major pieces in a 16-6 run for the home team that sealed this one for the Clippers. 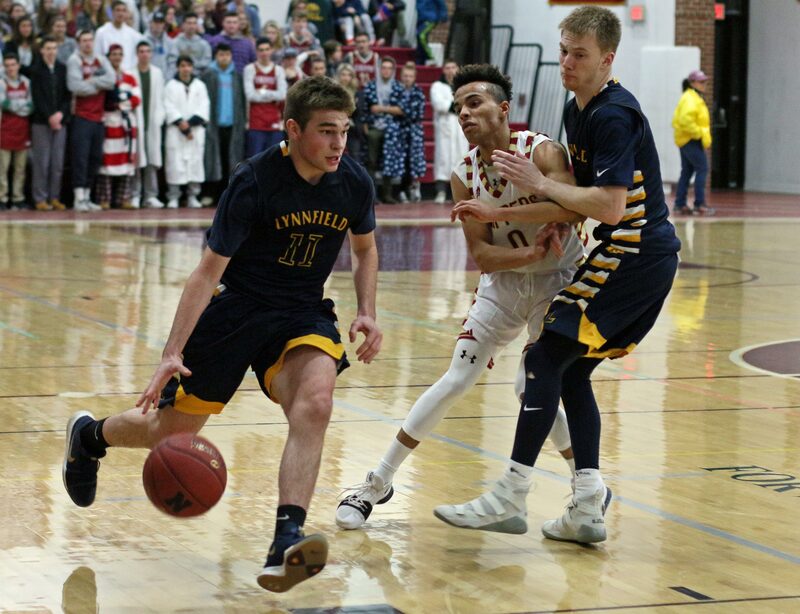 “They figured out our weakness (defending on ball) and they took advantage of it,” said Lynnfield coach Scott MacKenzie afterwards. 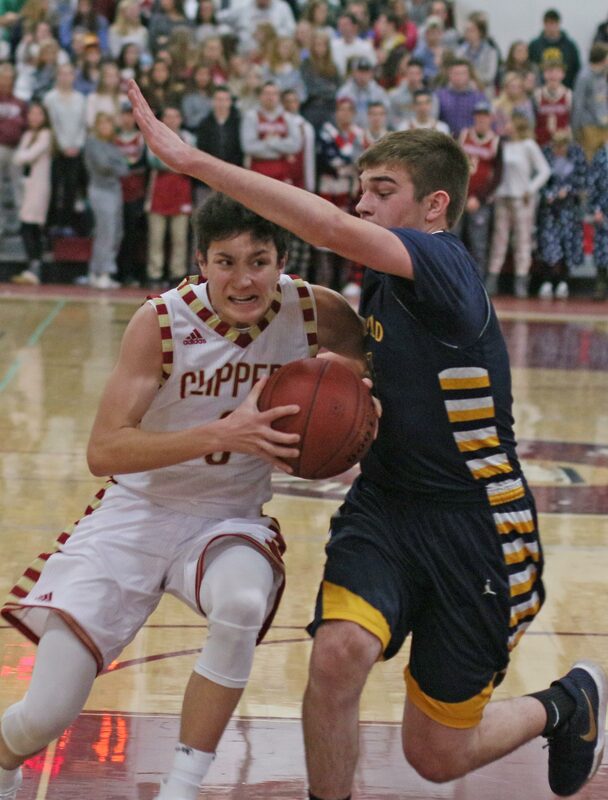 Anyone playing Newburyport (6-1) knows the trouble 6-5 Casey McLaren can cause. And the junior caused plenty of that in the first half with seventeen points. “Casey kept us in the game in the first half,” said Coach Clay. Casey has the size to shoot over players and the driving skills to thwart perimeter overplays. What I didn’t see was him posting the undersized Pioneers in close to the basket. Casey finished with twenty-two points. 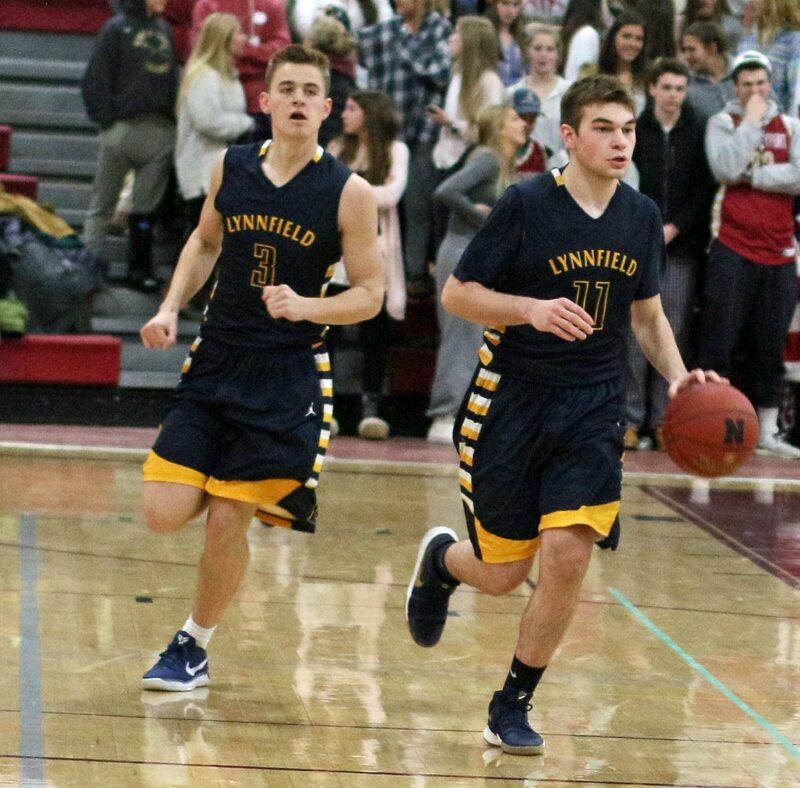 Teammates Ryan Archer (17) and George Coryell (16) reached double figures. Billy ended up with sixteen points. 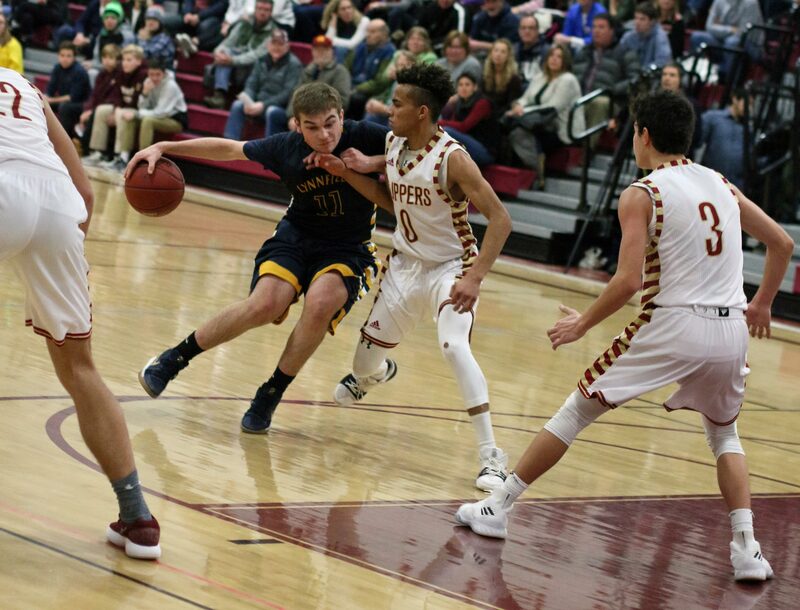 The senior was the Player-of-the-Year in the CAL Kinney Division last season. Billy not only shoots well but he is also a terrific dribbler and passer. 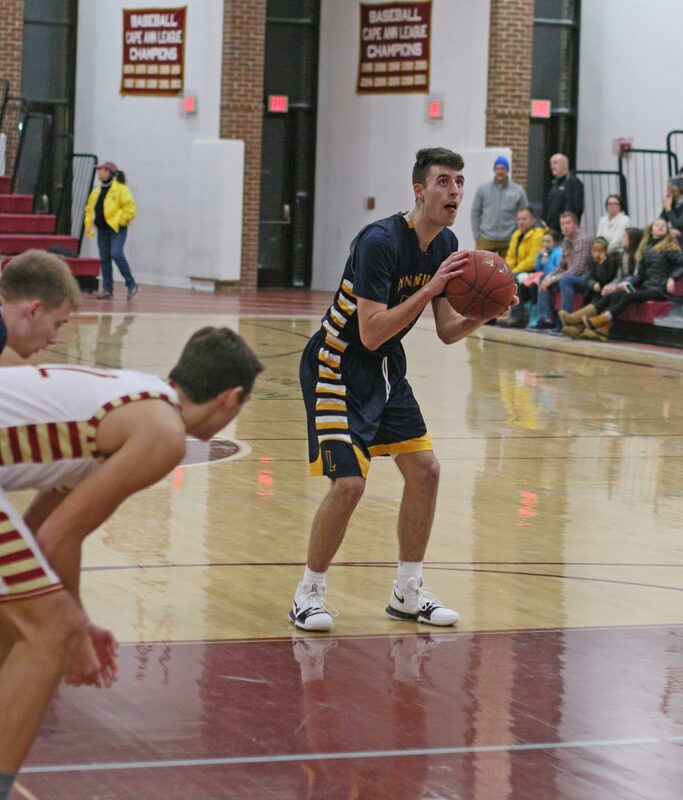 He isn’t Kyrie Irving, but he sure looked like the Celtic guard on some of the plays he made against Newburyport. 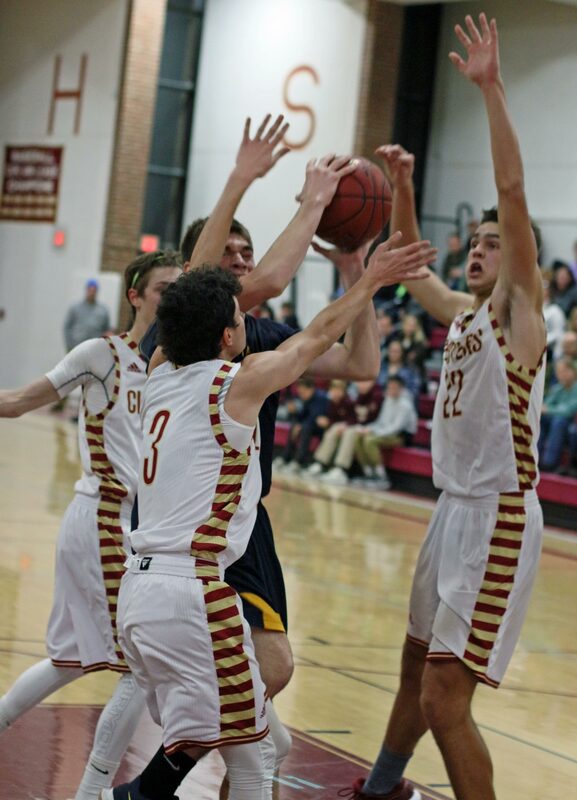 Zach Shone led the Pioneers with twenty points. 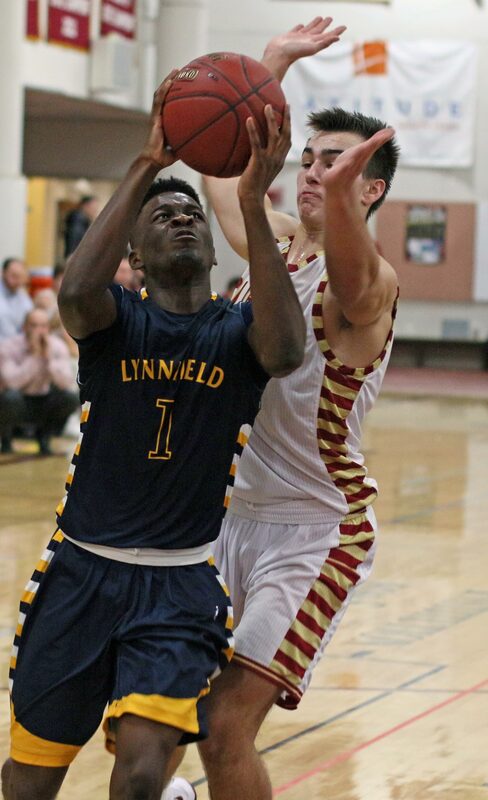 He led Lynnfield in chasing down offensive rebounds. 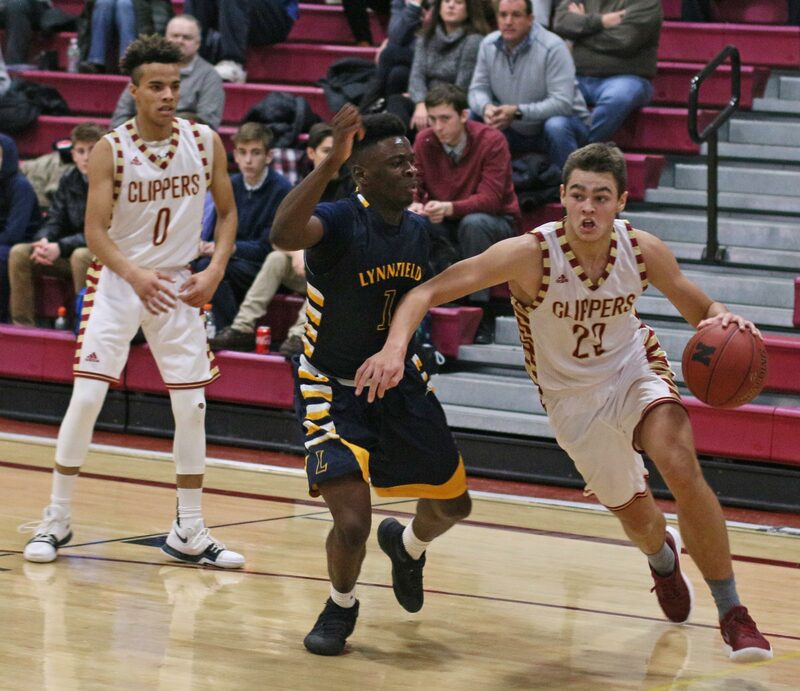 Newburyport went from a 5-point third quarter to a 31-point fourth quarter. 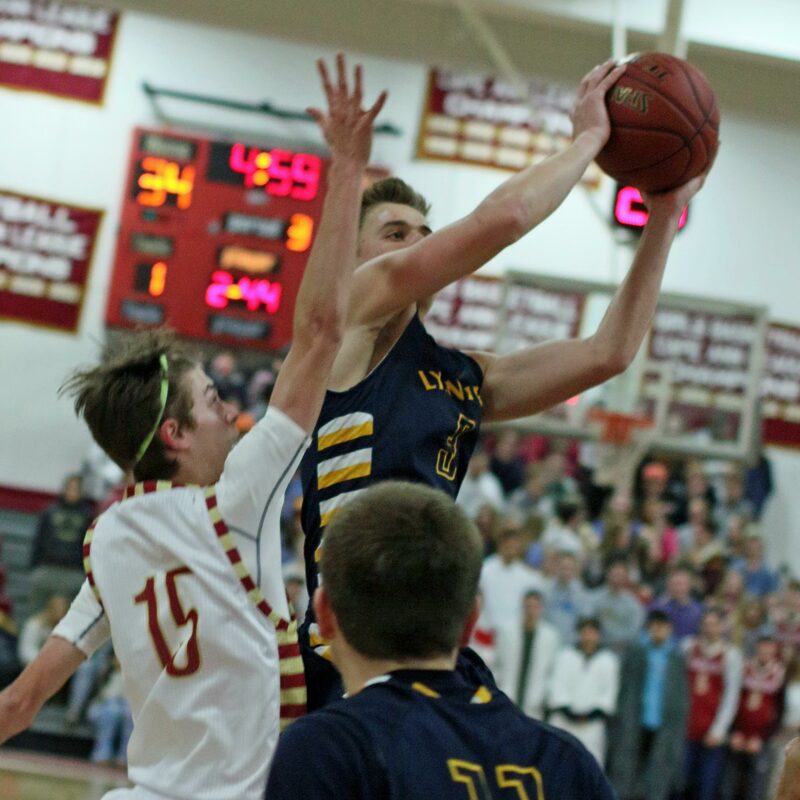 Lynnfield (4-2) certainly didn’t help themselves at the foul line missing twelve of twenty-eight attempts. 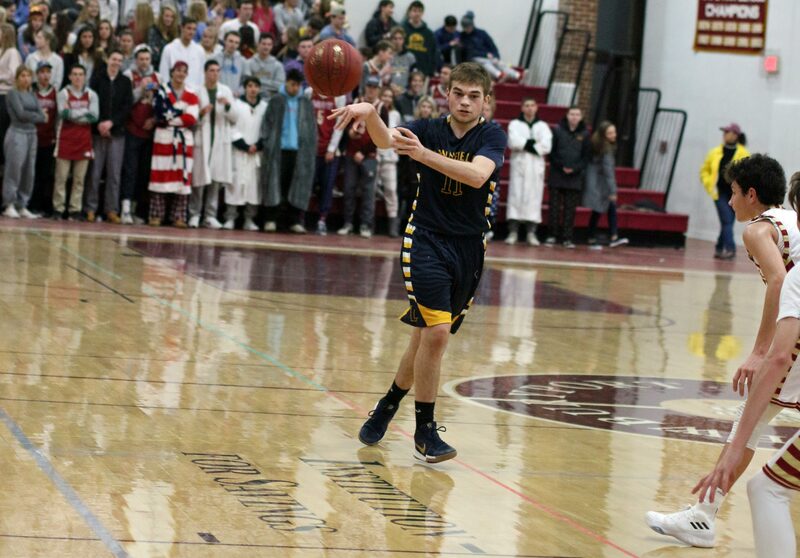 It is always a challenge shooting free throws with the Nbpt student section under the basket. 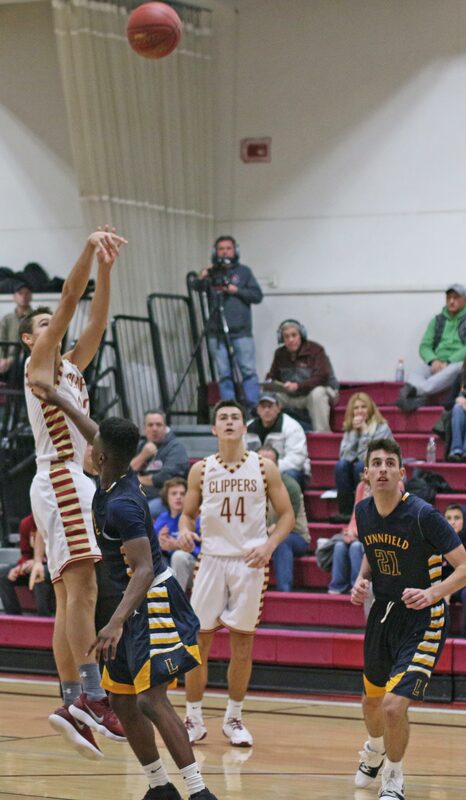 Matt Mortellite missed four straight facing the hostile crowd in the second quarter. It was the first time I have seen Newburyport cheerleaders at a basketball game.